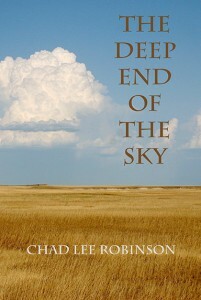 Chad Lee Robinson’s The Deep End of the Sky, takes us deep into the heartland of America—and of ourselves. 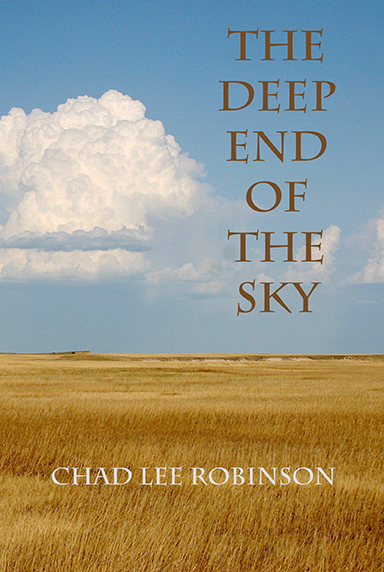 These small poems take us on a journey through the vast expanses of the American prairie, where we see, hear and feel the farm landscape and its connection to the cosmos. In fact, Robinson paints this wide open landscape with haiku, a short Japanese form of poetry with a deep connection to nature. The 47 poems in the collection convey a sense of daily life on the North American prairie and evoke Georgia O’Keeffe’s paintings of the plains in eastern New Mexico. Robinson pays attention not only to what’s visible but to what’s not there: the silences, the absences, the space between landmarks. This collection will let you breathe and see the prairie as a native and let you sink roots into the deep end of the sky. Perfect binding. 33 pp, 5.25 x 8 in. For international orders, please place your order through www.bookdepository.com — they offer free shipping virtually worldwide and the book will be available on approximately July 1st.